So now that we’ve chosen to go with Solaris and use NFS for our filesystem, let’s consider how we’re going to use ZFS to best suit our needs. 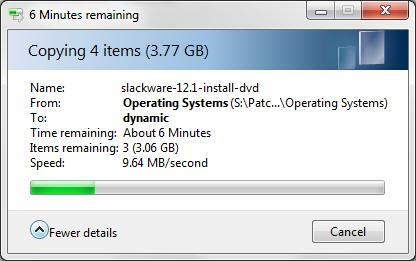 So let’s say that I have four 1Tb disks lying around which I want to thow into my new file server. At some point in the future, I’d like to upgrade my capacity by replacing one or all of the disks with larger ones (say, 2Tb). A vdev cannot have any additional devices added to it, but its devices can be replaced. A vdev cannot be removed from a pool. You have to destroy the pool and start over. A raidz vdev must contain disks of equal size. A raidz vdev can be expanded, but some trickery is required. Essentially when you create a group of disks in a zpool, you’re creating what’s known as a vdev. A vdev can be a single disk, an N-way mirrored array, a RaidZ1 array or a RaidZ2 array. It can also be a logging disk, a cache disk or a spare disk, but we’ll get on to them down the track. For my experiment, I’ll be using files instead of disks, but creating 1Tb files is plain silly, so I’ll use 1Gb files instead. So wherever you see a space reading in Gigabytes, assume that it’s Terabytes. To create the files, we’ll first create a folder for them to live in, then make a few 1Gb “disks” for each scenario we want to experiment with. root@Zues:/zdev# mkfile 1g flat1a && mkfile 2g flat2a && mkfile 1g 1b.... and so on. 49Gb of disk images total! The reason ZFS striped arrays are called “Dynamic” is because… well, they are. Adding or replacing disks is simple and frighteningly quick – most times involving only a single command, and no reboots to make it take effect. So It’s as easy as pie to replace disks to increase the size of your array, and although I did them all at the same time, it’s quite simple to do them one at a time. Best if you want something really simple, with lots of storage space and very little redundancy. Building a mirrored array is a little tricker to get your head around. 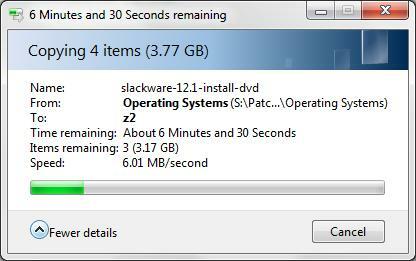 The first way to do it is to add disks in pairs and let the system figure it out. My preferred way, however, is to create a standard ZFS array of two disks, then attach the other two disks as hot mirrors of the two first ones. I’ll have to call this array ‘reflect’ because the words mirror and mirroring are reserved by ZFS. The available space of this array, as you would imagine, is 2Gb thanks to their being two 1Gb disks available. But hang on a second! 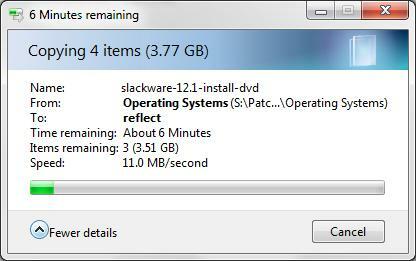 Even though we’ve upgraded one of the mirrors, we’re still only showing 2Gb of disk space! We should have at least 3Gb avaiable! Don’t panic, this is standard operating procedure. In order to make the new disk space available to the pool, we need to export it and re-import it. Note the -d slash and the file path are only necessary when you’re working with files. Were these actual disks, I could just type “zpool import <poolname>” and get the same result. Great mix of redundancy and flexibility, but not for the faint of wallet. A Z1 array is essentially a RAID5 array, but much, much sexier. Why? Because it has a Z in front of it! Seriously, though, the RAIDZ array sits pretty much half way between naked disks and mirrored disks, providing n-1 redundancy so that while you’re secure, you can still have a good amount of storage without breaking the bank. Let’s go ahead and set one up. So now that the RaidZ array has been created (note that the vdev specifies that it’s raidz1), let’s look at how much space we’ve actually got to play with. Remember, n-1 spacing means that even though we’ve got 4Gb of disks, we only get 3Gb of space, and then 1/64th of that space is reserved by ZFS. Now let’s say it’s a year down the track, we’ve mostly filled our array with files, and we want to replace these disks with larger ones. First, you’ll have to make sure that the “Expand” option is enabled on the array, otherwise it won’t automatically grow when we add the new disks. Excellent. Now we can go ahead and replace out our disks with the new 2Gb models we just bought. Excellent. Just under 6Gb of space to play with, although I shudder to think how much four of those disks cost. Let’s see how it performs. Ok, so performance is a little bit degraded because of the fact that the system needs to calculate parity blocks during the write process. It also increases CPU utilization for the same reason. Ew. Not much space to play with, considering we just threw 4 1G disks at it, although we had the same sort of thing with Mirroring. Upgrading this array is the same as a RaidZ1 array, in that we need to enable exand, then upgrade all four disks at once. Another small drop thanks to the extra parity we have to write, but nothing out of the ordinary. In a massive array, RaidZ2 would be very worthwhile, but in our example, two disk redundancy can be performed by Mirroring just as easily and have the added bonus of being much easier to expand. So there you have it, folks. I’ll admit that this look into ZFS and its various options isn’t exactly in-depth, but hopefully it gives you an idea of what is available. I can’t tell you which style of zpool layout to go for. For most people, a flat dynamically striped array is probably all they need, as all they really care about is the size of the array. Others might baulk at the idea of putting so much data in the hands of the gods – after all, a flat array is horribly susceptible to disk failure. Having weighed up all the options, I can say that the most likely one I’ll go for is a four-disk mirrored array. The fact that I can upgrade two of the disks and leave the other two alone is a massive bonus, as it means that while I enjoy the luxury of double redundant disks, I also don’t have to buy four new disks when it comes time to upgrade. 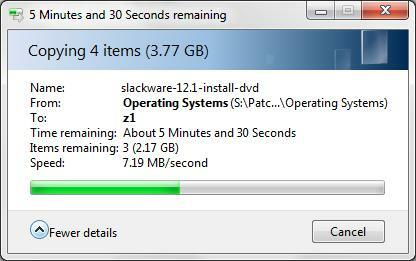 Two (or even one) new 2Tb disks will bump my storage array to 3Tb – more than enough to keep me trucking. If you’d like to simulate any of these options, all you need to do is grab a copy of the Opensolaris LiveCD, whack it in to your computer (or your virtual machine software of choice) and give it a go.